We’ve made a host of updates to SmartAlbums and are happy to release Version 1.2. We are committed to consistently improving the SmartAlbums experience with the goal of developing a tool that is ever intuitive, reliable, and easy to use. Version 1.2 includes numerous bug fixes and performance enhancements. 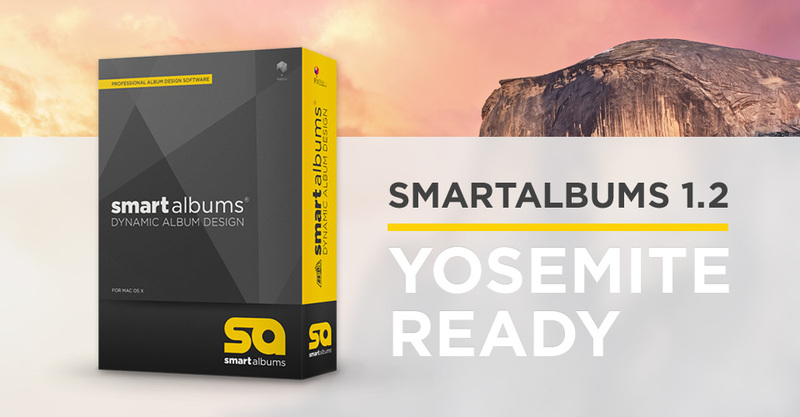 SmartAlbums 1.2, while compatible with OS X Yosemite, is also compatible with OS X Mavericks, Mountain Lion and Lion (OX X 10.7 - 10.10). We hold high expectations of our products and work daily to develop tools that help elevate your business while saving you valuable time. If you have any questions, do not hesitate to email us at smartalbums@pixellu.com.